Chepstow is well known in the area mainly because of the Chepstow Hotel which was later called the King Edward or "The King Eddy" which was "The place to be" in it's day. Over the past 10 years the building has seen several owners, three restaurants, and a small store . It is currently under renovation. 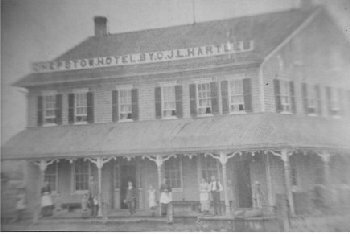 Chepstow was founded May 17, 1852 by John Phelan Jr. who arrived here by canoe with his wife Bridget, daughter Mary, and his brother Dennis. *The Phelans were originally from Killkenny Ireland. The first church in Chepstow was constructed by the Roman Catholic congregation in 1857. A year later, in 1858 a public school house was built and in 1893 a Separate School was built as most of the area students were Roman Catholic. Seven years later a Post Office opened with William Henesy as Postmaster. In 1908 the village received it's first telephone line but would not see electricity until 1928. The first person to own a car in the village was John Coumans in 1912. 1913 brought the construction of concrete sidewalks. 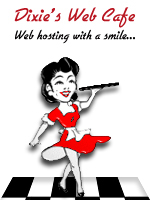 For more history, images, and other information, please see the links on our main menu. This is how Chepstow got it's name.. It seems that in the early days of Chepstow, most of the settlers were Irish and petitioned the government for a Post Office. This was to be named Emmett in memory of an Irish patriot that was hanged in 1803 for rebellion. According to John Phelan, some "black-guard" in the Department knew Irish history and changed the name to Chepstow which was the residence of Earl Strongbow, the first English invader of Ireland! It is said that Mr. Phelan never forgave the Government for this. In 1865 the first Post Office of Chepstow was opened with William Henesy as Postmaster until 1877 when William Black became Postmaster, followed by Michael McNab in 1878 until his death in 1899. Next was Joseph McNab until he resigned in 1905, followed by John Coumans until his death in 1925. Next was Albert Boegel until 1926 when George Bulhman became Postmaster. He held the position until 1927 when store owner Edgar Massel took over and remained Postmaster until he resigned in 1968. 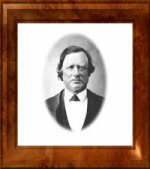 Carl Morris was to follow and he remained Postmaster until 2000 when he resigned. The current Postmaster is Brian Barnhardt who also owns the former Massel store. Rural Route Carriers have been Ross Fritz, Andrew Ditner, John Lacey, Johan and Juletta Doyle and Loretta O'Hagen. Chepstow's first industry was a sawmill erected by John Phelan. Water power for the mill was provided by "Phelans dam" which was built in 1859. The dam caused a bit of controversy as farmers claimed it contributed to poor drainage and other millers downstream had difficulty floating logs over the dam. It was torn down in 1887 after the municipality purchased it for $3,000. Other businesses included a shingle mill and a butcher shop on the south side of the river. The sawmill was rented out to other business men, including Henry Cargill who converted it to steam power. Dennis Phelan built an upright sawmill which he also rented out as seemed to be the trend at the time. It was eventually purchased by Joseph Graf and later was destroyed by fire. Mr. Graf built a steam powered mill on the south side of the mill pond. It too was rented out and eventually purchased by Thomas Mullin. Due to the many complaints over the sawdust pollution in the pond, the mill was dis-mantled and moved to another site becoming the first grist mill in the community. It was also a cider mill at one time, the equipment was purchased from the Dunkeld Hotel owner, Frank Schuler in 1923. Mr. Mullin sold the business to his son Frank in 1925. It sold again to Frank Mullin's brother Jim in 1945 who owned it until 1964 who then sold it to his brother Thomas. Thomas Mullin was also a carpenter and architect. He drew the plans for the Chepstow Catholic Church and contracted it's construction in 1903. 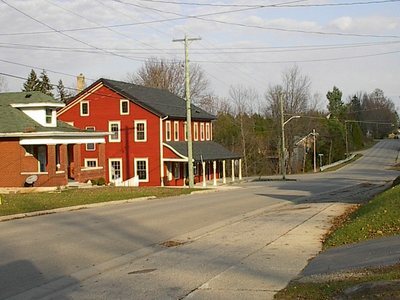 Other churches in the area constructed by Mr. Mullin include Paisley, Pinkerton, and Port Elgin. Part of his carpentry skills were used in the construction of caskets which area children liked to use for hiding when playing "Hide and seek." Mrs. Thomas Mullin (formerly Laura Dietrich), and her daughters were part of the business too as they were excellent seam stresses and fitted the lining for the caskets. Many of the caskets belonged to children as the infancy death rate at that time was high. After frank Mullin sold the grist mill he started Mullin's Farm Service which is still in operation today under Joseph Benninger and Frank's daughter Mary (Mullin) Benninger. A few of the other early businesses in town included a photographer studio owner by Elizabeth (Zuber) Kraemer. 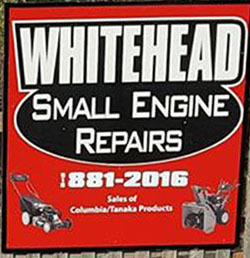 Another farm machinery business was owned by Joseph Schutofski who later sold his building to Frank Mullin. The building sold to John Vallee in 1975 and housed Grey-Bruce Aluminum Siding. Carpentry and masonry have always been a big part of the trade industry in the community. along with Frank Mullin there has been Henry Kroeplin, and his son Albin, barn framers Joseph Schmidt Sr., Henry Spitzig, Jack Spitzig, and Frank Zister. Willian Wittman an excellent stone mason and concrete contractor. cabinet makers have included Frank Lang and Larry Schnurr who still operates Chepstow Cabinet and Carpentry which he started in 1977. *A large part of this information was obtained from the Greenock Township History 1856-1981 © 1981 Greenock Township Historians.